Hi everyone! 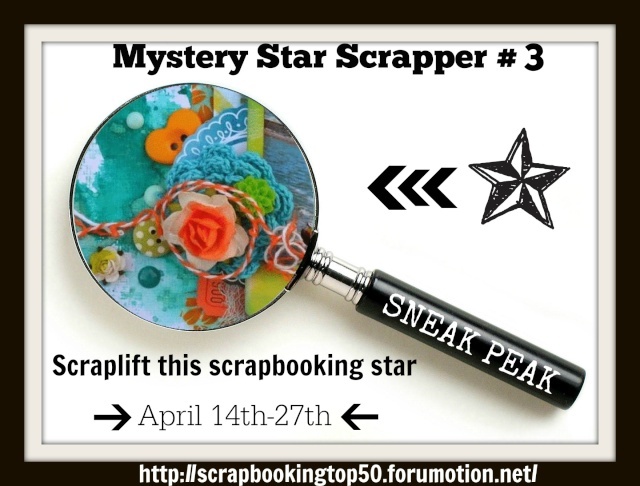 Welcome to our 2nd scrapbooking star!! Did you guess who it was by the sneak peek?? 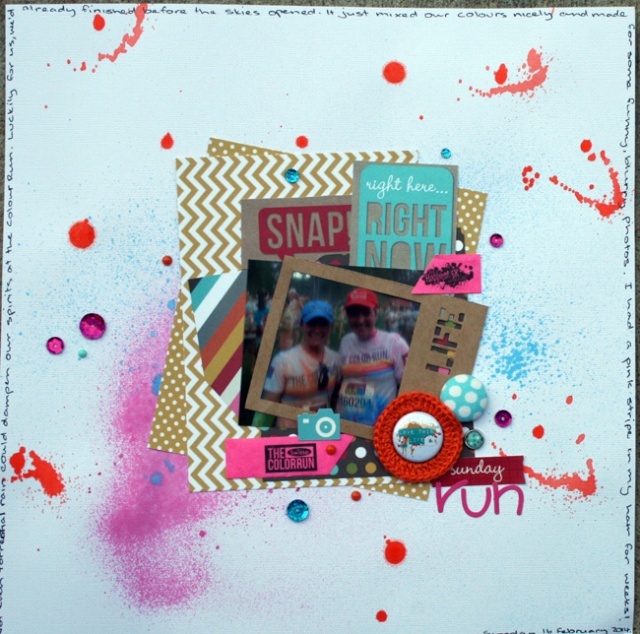 It's Sophie Koschmann Current Scrapbooking Memories MASTER!! Here's the awesome page we will be scraplifting for this competition. Thank you for allowing us to use your page, Sophie! Remember, you can be inspired by this page in any way. You could use it as a sketch, use elements from Sophie's page, or use the colours, its entirely up to you! The only thing is, we must be able to see how you have used Sophie's page! 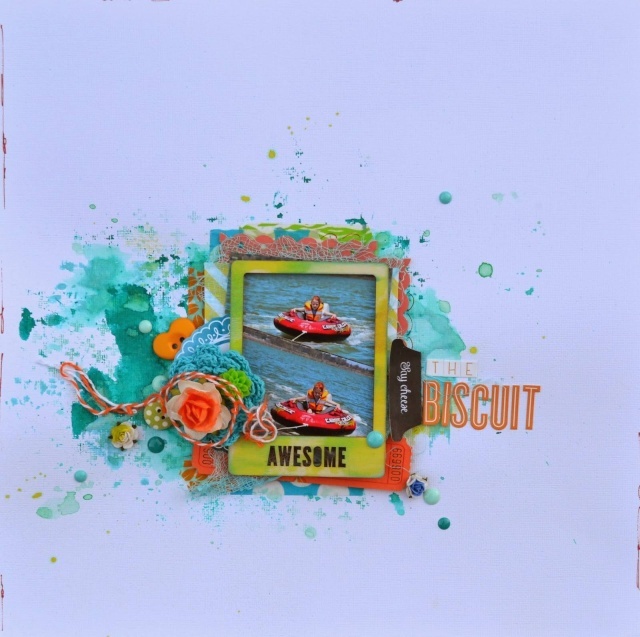 "I have kept a similar page design as Sophie's - I was inspired by her photo placement , layers, embellishments and enamel dots . However I was in the mood for a more graphic, clean scrapbooking style so my layout came out quite different to Sophie's! I used many similar embellishments to Sophie embellishments like the photo frame, mini flowers, enamel dots, crocheted flower, fabric mesh and paper tickets. Thanks so much, Sophie for your fabulous layout to lift!" Oh fabulous, love both of these! Love this two. Looking forward to making a start! Such an awesome page to lift and Sarah, I just adore your page too!! I spy some Rainbow Splendour!! Can't wait to do this one!! Such a fun layout, I also love this wonderful girl and her creativity! Nice one Sophie! Done and thank you for the inspiration Sophie! I think I need to buy some water colours! Wow you ladies are on a roll! You cannot upload any photos to the gallery because the storage limit has been reached. Having a few problems sizing my layouts to insert in the thread. 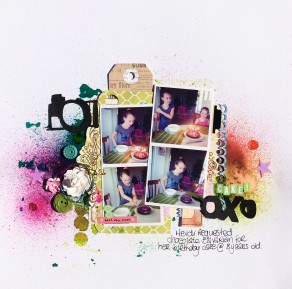 I have scraplifted Sophie - I have basically tried to follow the sketch idea of her layout, and included some similar elements such as the misting, the layers, flowers, buttons and small photos. Thanks for looking. Very pretty, Kate!! Loving that misting!! So so pretty, I love the colors! Here's mine - I used the same elements as Sophie - photo positioned in the centre, bg colour, a frame, enamel dots and layers.